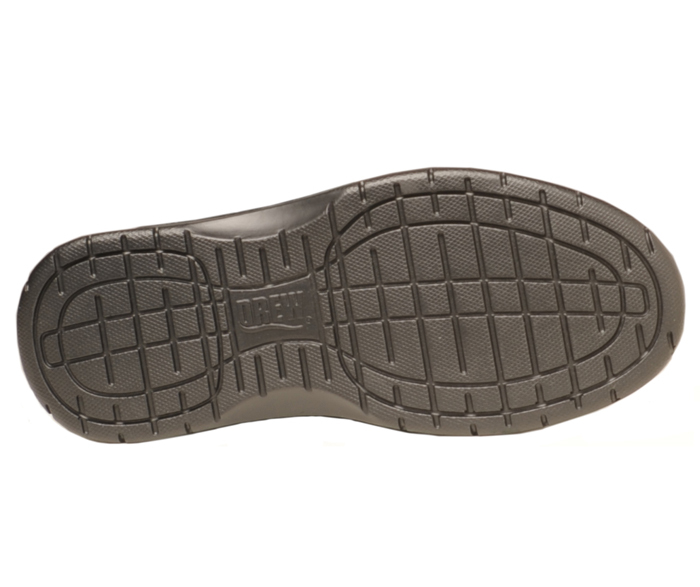 The Drew 'Traveler' has two removable foam footbeds, either or both of which may be taken out to give you double added depth if you need it. 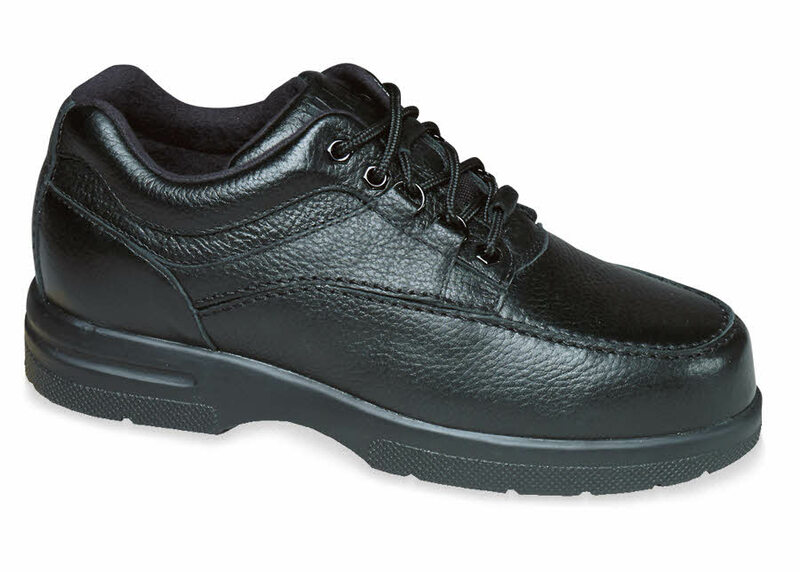 Other features of these attractive casual shoes include elastic side seaming for better fit and comfort, rocker bottom with wide shank for stability, a lightweight flared polyurethane outsole, extended medial counter, and soft, foam-padded tongue with collar. And, of, course, the Traveler will accommodate prescription orthotics. Men's sizes Sizes 7-12, 13 and 14 in 4E; 7-12 and 13 in 6E.